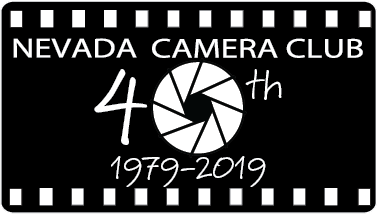 Photographer Of The Year (POY) is awarded annually to the Nevada Camera Club member who earns the most points in NCC monthly competitions and competitions approved by NCC. These competitions take place over the year with 56 images that are entered into assorted competitions and categories. The Nevada Camera Club honors Joan Goddard for her outstanding achievement as 2017 Photographer of the Year for the Nevada Camera Club. Joan has enjoyed photography for over 50 years, beginning with a high school photo club. Her first SLRs were Konica Auto-Reflexes, then switched to a Canon EOS in the 90s. In May of 2009, she acquired her first digital SLR, the Canon Rebel T1i, soon graduating to the 7D, then the 5D MK III and a variety of Canon L lenses. Her photo subject interests range from landscapes, nature and wildlife to creative abstracts. She uses Lightroom CC and Photoshop CC, and the Topaz bundle for most of her editing.